Yikealo Beyene was among the first wave of African asylum-seekers to arrive in Israel. He left his home in Eritrea in 2005, at the age of 21. The political situation in the country had deteriorated since 2001 and, after Beyene penned an article critical of the authoritarian regime, he was arrested twice. He walked under cover of darkness to the Ethiopian border and spent more than three years in a refugee camp, where he earned a stipend as a teacher and running a makeshift library. That changed when hostilities reignited between Eritrea and Ethiopia. The camp’s proximity to the Eritrean border made Beyene and others worried. Military service is mandatory in Eritrea, so every emigrant is a de facto deserter. With a group of fellow refugees, he traveled to Sudan, and to another refugee camp. Beyene, who will speak in Vancouver this month at an event co-presented by the Independent and Temple Sholom, stresses that he is not a typical refugee. Unlike many, he had a small nest egg that allowed him to buy tickets to move between places and, as his story proceeds, crucial supports from family, nongovernmental organizations (NGOs) and generous strangers overseas. Most are not so fortunate. Life in Sudan felt no safer. Eritrean security forces would sometimes cross into Sudan and abduct people. In Cairo, he lived in an apartment with about 30 other refugees. By this point, the Egyptian government (as well as that of Libya) had an agreement with the Eritrean government to repatriate citizens of that country. Concurrently, Libya had signed an agreement with Italy preventing people from migrating across the Mediterranean. Egypt’s comparative stability would soon be upended by the Arab Spring and its aftermath. Escape routes were closing. In Cairo, word spread that smugglers were willing to help people cross the Sinai to Israel. Employing Bedouins, Beyene made it to the Israeli border in February 2008. He thinks he paid about $600 US to the smugglers. As migrants flowed toward Israel in later years, that number would skyrocket to as much as $50,000, Beyene said, and lead to a horrific trade founded on kidnapping, ransoms and organ harvesting. Once inside Israel, Beyene and the two dozen or so other asylum-seekers he traveled with were transferred to successive military camps and, eventually, bused to Be’er Sheva, where they were left to their own devices in the cold midnight air. With three others and pooled cash, he made his way to Tel Aviv and, after connecting with Eritreans there, immediately found jobs in Jerusalem, doing construction and custodial work. Beyene, again unlike most asylum-seekers, obtained an education, entering the Interdisciplinary Centre in Herzliya, where he received a bachelor’s and a master’s in psychology, thanks to part-time jobs, scholarships, help from NGOs and an American Jewish benefactor. A woman who was his girlfriend in the first refugee camp had been accepted to the United States in 2009 and, in 2012, she came to Israel and they were married. He moved to Seattle on a family reunification visa. Beyene will share more of his story at the event May 19, where he will be accompanied by Oded Oron, an Israeli and a PhD candidate at the University of Washington, whose dissertation deals with African asylum-seekers in Israel. For Sudanese migrants, Oron said, repatriation was potentially deadly because many, especially Darfuris, were fleeing the deadly persecution of Janjaweed militias or had been part of rebel groups opposing the tyranny of Omar al-Bashir. For all refugees, the crisis was exacerbated by the smugglers’ greed. In all, about 64,000 asylum-seekers entered Israel, of which 37,000 remain. Most of those who left migrated to Europe or North America. A much smaller number accepted an offer of resettlement to Uganda or Rwanda, though, of these, many found themselves still lacking in rights or opportunity and returned to the migration route, some dying on the way. As the numbers of asylum-seekers skyrocketed, detention facilities that were never meant for illegal border-crossers, became overcrowded. The prison authority gave inmates one-way bus tickets to Tel Aviv. At times, there were 3,000 Africans sleeping under the stars in Levinsky Park, outside Tel Aviv’s main bus station. In 2014, the government opened the Holot Detention Centre, a prison in the Israeli desert. After several NGO appeals, the Israeli Supreme Court determined that detention of asylum-seekers must be limited to one year and there has been a rotation of people serving their one-year term of detention and then returning to the legal limbo of life as an African asylum-seeker in Israel. NGOs asked the Supreme Court to interpret the status of the migrants. The government maintained that it would neither process their asylum requests nor give them work permits. However, under pressure, the government told the court that it would not enforce the ban on working. The government did, however, require employers to collect deductions for taxes, as well as for social services for which the migrants are not eligible, and to withhold 20% of their income, to be released only on their exit from the country. In November 2017, the government declared its plan to offer asylum-seekers two choices: accept $3,500 US and a plane ticket to Rwanda or Uganda, or face indefinite detention. In March 2018, following public pressure, Rwanda backed out of the deal. The government then suggested a resolution that would see about half the 37,000 offered a temporary residency short of citizenship, while 16,000 would be resettled in Western countries, through a deal brokered by the United Nations High Commission for Refugees. Even so, right-wing members of the governing coalition balked. The “solution,” announced in the morning, was annulled in the afternoon. Then, late last month after Uganda, too, backed out of the agreement with Israel following public pressure, the Israeli government told the court that it would not proceed with the deportation plan for now. The Jewish Independent and Temple Sholom invite readers to join us at the event Let My People Stay: Seeking Asylum in the Jewish State. In the spirit of learning on Shavuot, it will take place on May 19 at Temple Sholom. Shavuot services will start at 7:30 p.m., followed by Havdalah and an ice cream oneg at 8:30 p.m., and the program at 9 p.m. Everyone is welcome to all or part of the evening. RSVP to templesholom.ca/erev-shavuot or 604-266-7190, so that there will be enough ice cream for everyone. Number of African* migrants entering Israel by year. * Approximately 70% Eritrean, 20% Sudanese and 10% from other African countries. The first group of honourees at the JI Chai Celebration on Dec. 6 at the Rothstein Theatre were (alphabetically): Rebecca Baron, Ezequiel Blumenkrans, Erin Brandt, Marcus Brandt, Ayelet Cohen Weil, Courtney Cohen, Aaron Friedland, Sam Heller and Talya Mallek. Mazal tov! As a philanthropy project when she was a student at Vancouver Talmud Torah, Rebecca Baron helped raise funds for Room to Read, a nonprofit that promotes gender equality and literacy in developing countries. This dedication to equality, combined with her love of biology, has led her to promote female advancement in the fields of science, technology, engineering and math (STEM). Her own work in science has gained her national recognition. A science fair project on indoor air quality led to her discovery that a bacteria, Pseudomonas putida KT2440, can help improve indoor air quality. For this, she won the platinum award at the Canada-Wide Science Fair in 2015. That same year, Baron participated in the SHAD program, which empowers exceptional high school students to recognize their own capabilities and envision their extraordinary potential as tomorrow’s leaders and change-makers. There, in addition to winning the best business plan award, she met Betsy McGregor, the founder of a global network of professional women in agriculture. In its preliminary stage of development, Because of Her has already received support from researchers, professors and students. Her perspective on gender equality is partially due to her Jewish identity and the first words of Torah. Baron has shared her experiences and interests with large and diverse audiences, including on numerous panels, as a TEDx speaker and on CBC Radio. 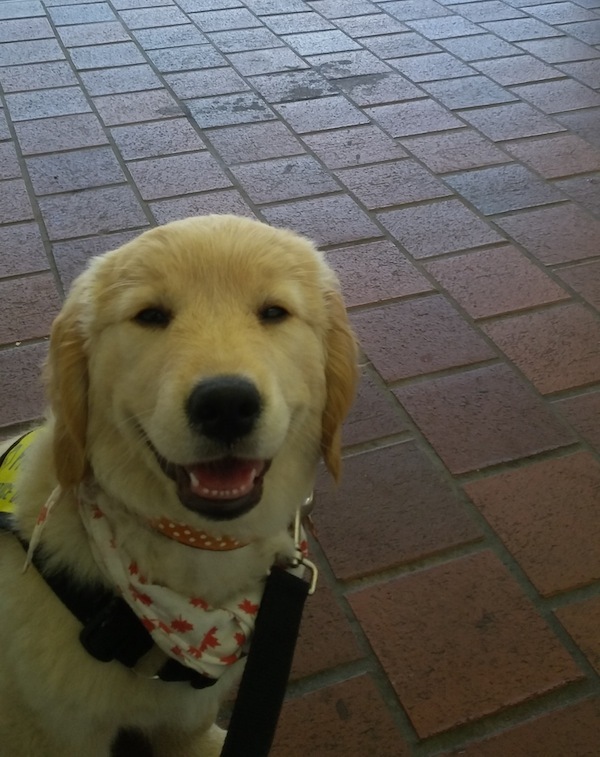 The long list of her other activities and achievements includes participation in Vancouver Science World’s Future Science Leaders Program and serving on the Kitsilano Community Centre Youth Council. In addition, she has been a member of the Whistler Blackcomb Freeride Skiing Team, was a competitive jazz and acro dancer and a National Rhythmic Gymnast. This is a teaching that Zeke Blumenkrans has taken to heart. Born in Buenos Aires, Argentina, Blumenkrans came to Vancouver at the age of 3. 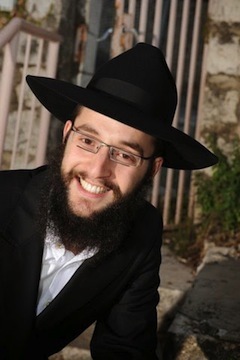 Growing up in a home infused with Jewish identity, and graduating from Vancouver Talmud Torah and King David High School, he absorbed ideas of tikkun olam and chesed. In 2011, he began volunteering at Canuck Place, North America’s first hospice for pediatric palliative care. 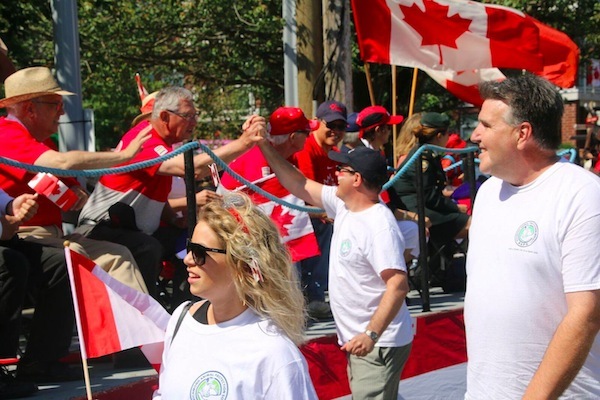 “Canuck Place allows me to interact with some of the most courageous and incredible children in the world, all while goofing around and helping them have fun and forget about their tough situations for awhile,” Blumenkrans told the Independent last year. 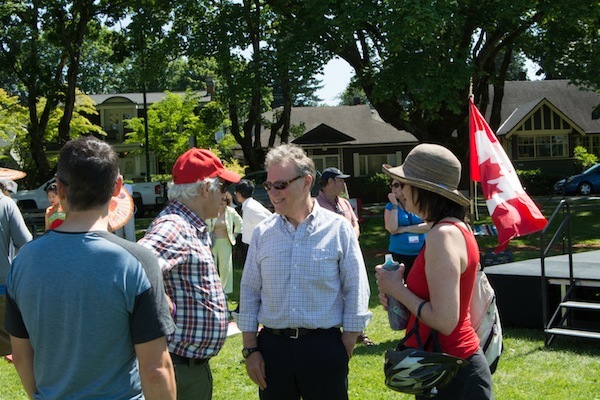 At Canuck Place, Blumenkrans met David, who had been diagnosed with spinal cancer. After David died, Blumenkrans started Generocksity, a philanthropic organization that has now grown to eight branches across Canada and in New York. Generocksity organizes concert and party fundraisers for various causes and delivers educational workshops that help young adults who want to start their own philanthropic projects. After completing his undergraduate degree in kinesiology (during which he won a long list of awards and scholarships), and before beginning med school at the University of British Columbia this year, Blumenkrans worked full-time at the Vancouver Native Health Clinic in the Downtown Eastside, which focuses predominantly on people who are current or former injection drug users and people who are HIV-positive. He is also doing research with the B.C. Centre for Excellence in HIV/AIDS, focused on needle-sharing and the spread of HIV in the Downtown Eastside. He volunteered for Magen David Adom, the Israeli branch of the Red Cross organization, and received top marks in the practical and written exams following the organization’s 100-hour first aid training course. 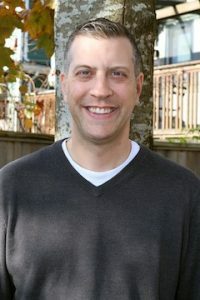 In addition to all of this, he has been a soccer trainer and assistant coach in the Downtown Eastside, vice-president of UBC’s Israel on Campus Club, senior coordinator of children’s events at the Jewish Community Centre of Greater Vancouver and a counselor at Camp Solomon Schechter and at Camp Shalom. Community is at the heart of Erin Brandt’s life, and Erin Brandt is at the heart of her community. Brandt grew up in Kingston, Ont., where she was involved with United Synagogue Youth and attended Jewish summer camp. During her undergraduate studies at McGill, she was involved in Hillel and served on the board of the legendary Ghetto Shul, an innovative student-run Jewish community in downtown Montreal. 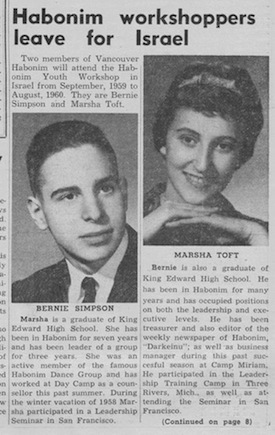 Soon after coming to Vancouver to study law at the University of British Columbia, she founded a Jewish law students’ group. Later, she was a founding board member of Axis, the Jewish Federation of Greater Vancouver’s network of Jews in their 20s and 30s. 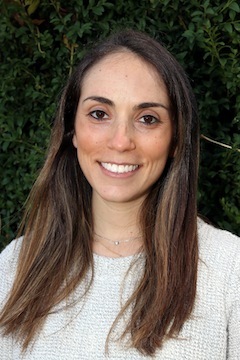 Through her role with Axis and, now, as a member of the Young Adult Committee of Beth Israel Synagogue, she has been instrumental in many initiatives for members of the community in their 20s and 30s. She is also an active member of the Canadian Jewish Political Affairs Committee. Brandt sees herself as a “connector,” and is motivated by fairness and innovation. In her career as an employment lawyer, she advises leaders in emerging industries, as well as more established businesses who want to “do right,” and she focuses on finding reasonable, collaborative solutions to workplace issues. As a speaker at the annual Vancouver Startup Week, Brandt is the voice of employment law for many local new business. 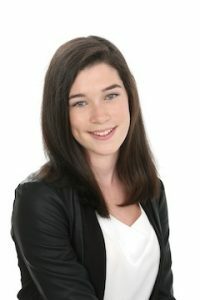 She mentors the next generation of professionals as a supervising lawyer at UBC’s Law Students’ Legal Advice Program and supports the professional development of her peers as a member of the executive of both the Employment Law Subsection and Young Lawyers Section of the Canadian Bar Association (B.C.). She presents regularly at the annual Continuing Legal Education Employment Law Conference in Vancouver, speaking on topics such as directors’ and officers’ liability and disability and workplace accommodation. At this point in her life, being an integral part of her community is not even a matter of personal choice. “It’s a habit that I can’t even break,” she says, laughing. Marcus Brandt credits those who have come before as the inspiration for his community commitments today. Brandt’s community involvements are plentiful. During studies at the University of Victoria, where he received a bachelor’s of commerce degree with distinction, he was active in Hillel. He moved to Vancouver and became a chartered professional accountant (CPA, CA), and is now a manager at DMCL Chartered Professional Accountants, in their private enterprise group. Professionally, Brandt provides assurance, accounting, taxation and business advisory services to owner-managed businesses including incorporated professionals, individuals, estates and trusts. Even as his career has advanced, his community activities have grown. In addition to serving on the board of Congregation Beth Israel, he leads services, serves on committees and helps run young adult programs. 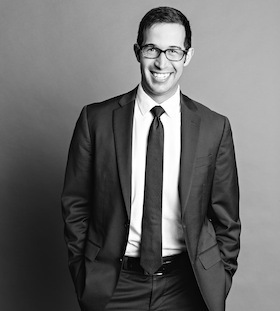 He is a co-chair of the young professional division at Jewish Federation of Greater Vancouver and, having been in this role for a number of years, has personally canvassed a large proportion of the community’s young adult philanthropists. 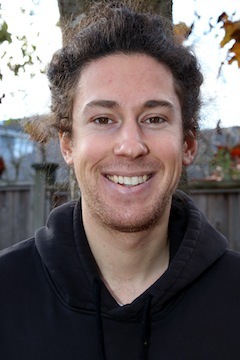 In 2014, he was the co-recipient of the Federation’s Young Leadership Award, which is presented in recognition of outstanding leadership in the Metro Vancouver Jewish community. He served on the steering committee of Axis, Federation’s young adult network, of which he was a founding member. Brandt is on the board of the Vancouver Holocaust Education Centre, and serves as its treasurer, and was co-chair of Jewish National Fund’s JNF Futures (previously JNF Young Professionals Network). 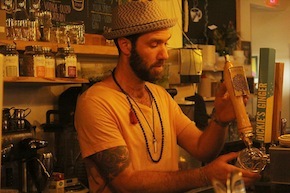 In his free time, he plays hockey and ultimate Frisbee, bikes, hikes, skis, cooks and entertains. His future plans are to continue to develop professionally and build a practice within his firm, while continuing to support the Jewish community where he is able and where he is needed the most. “Jewish community and myself are inexorably linked,” he says. “The community is as much a part of my life as anything else, and I would not change that. 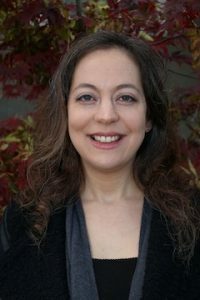 Ayelet Cohen Weil left Vancouver in 2012. This summer, she returned with her husband, Zohar, and their year-old daughter Shai. It is the most recent relocation in a life that has triangulated between Mexico, British Columbia and Israel. The identity and sense of belonging has been handed down through the diverse and conflicted history of her family. Cohen Weil’s father is Israeli, the son of Iraqi Jews who immigrated to Israel in 1950. Her mother is the daughter of European Jews who migrated to Mexico in the early 1900s. 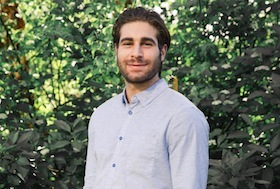 After high school, Cohen Weil volunteered on a kibbutz for a year and then joined the Israel Defence Forces at the age of 19 as a lone soldier. “I did basic training, a course for operational sergeants of the ground forces, and served in the Liaison and Foreign Relations Division,” she says. The Foreign Relations Division was established to build, reinforce and maintain diplomatic relations and to represent the IDF to other countries. 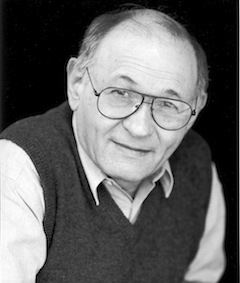 Cohen Weil served in the division’s Latin American and African section. After her service, in 2005, she moved to British Columbia to complete a bachelor’s degree in political science and Middle Eastern studies at the University of Victoria. 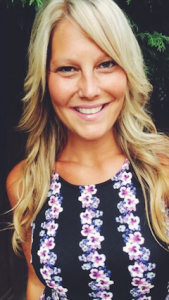 While there, she was an active volunteer in Hillel’s Israel on Campus Club and Jewish Students Association. 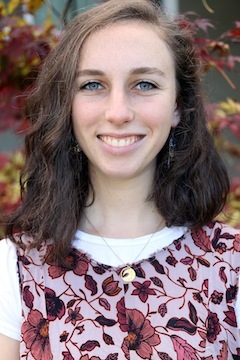 After completing her undergraduate degree, Cohen Weil returned to Israel for a yearlong academic excellence programs at the Hebrew University. 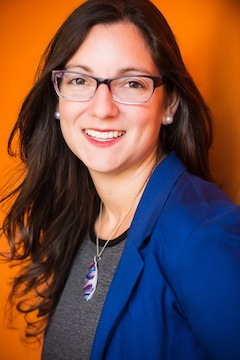 Then, she returned again to British Columbia, where she took up a position as Hillel director at the University of Victoria for three years before moving to Vancouver and serving another two years as Hillel’s managing director of programs for the province. Then, she was back to Israel again, obtaining a master’s degree, with distinction, in public policy, specializing in conflict resolution and mediation, at Tel Aviv University. 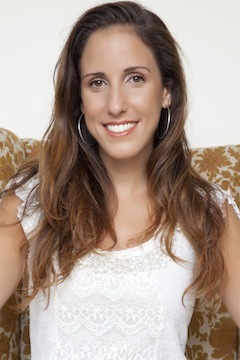 She served as a research assistant on strategic peace and security studies at the Institute for National Security Studies and, later, as head of marketing and admissions of graduate programs at the Interdisciplinary Centre (IDC), in Herzliya, where she also ran the Latin American desk. During this time, she also served as a board member and mediator for Minds of Peace, an organization designed to involve the people in the peace process through provoking a public debate over central issues. 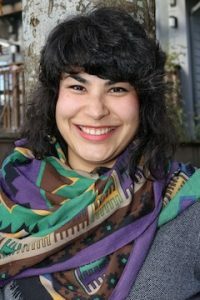 This past July, she took up the position of campaign manager, major gifts, for the Jewish Federation of Greater Vancouver. When Courtney Cohen’s grandmother, Rose Lewin, passed away in 2012, she struggled to find a meaningful way to honour the memory and legacy of her bobba (grandmother), a survivor of the Holocaust. She created Rose’s Angels – honouring both Lewin and her paternal grandmother, Babs Cohen – to bring light into the lives of people in the often-dark month of February. The fifth annual event, this coming February, will see 1,000 care packages distributed to people affected by poverty through 19 service providers, including Richmond Family Place, the Richmond Food Bank, Turning Point Recovery, the Jewish Food Bank and the Light of Shabbat Program. The packages contain non-perishable foods, toiletry items, new socks, pairs of gloves and toques. Operating under the umbrella of the Kehila Society of Richmond, the program has already delivered 2,500 packages. Cohen chose February for the project in part because it was her bobba’s birthday month and also because many people can feel especially isolated around Valentine’s Day. In addition to running Rose’s Angels, Cohen is also on the board of the Kehila Society, Richmond Jewish Day School, Richmond Homeless Connect, Richmond Poverty Response Committee and Axis Vancouver. 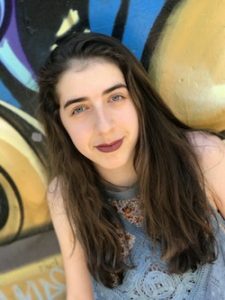 She recently organized a young adult event for Jewish Family Service Agency (now called Jewish Family Services), educating peers about the work JFSA does around mental health outreach. She was also co-organizer of the young adult tables for JFSA’s Innovators Luncheon earlier this year. Her near-future plans are for a very successful 2018 Rose’s Angels event and planning more tikkun olam projects for young Jewish adults. “Through my volunteering, I hope to get more young adults involved in giving back within the Jewish community,” she says. When Anderson Cooper presented Aaron Friedland with the Next Einstein Award, the CNN host commended the Vancouverite for helping students in developing countries access education by reducing barriers in a sustainable way. To reach school, kids in many countries have to walk several kilometres, which presents a primary barrier to their advancement. 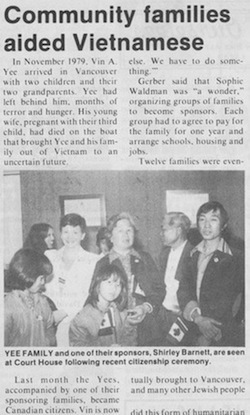 Friedland created the Walking School Bus organization, intending to purchase buses, to address that part of the problem for benefiting schools. But he soon realized that, in addition to getting to school, additional barriers were presented by hunger and poor literacy. The Walking School Bus (TWSB) evolved into a three-legged initiative addressing access, nutrition and curriculum. TWSB’s economic model is to make school buses self-funding because, when not shuttling kids to class, they will generate revenue as taxis in the community. The organization confronts the hunger issue through a complex of water collection systems, chicken coops and community-supported agriculture, providing students with nutritious meals. Solar-powered classrooms address the availability of power. Finally, TWSB developed an app through which students in places like Vancouver record themselves reading aloud, creating audio books that peers around the world can use to enhance their English language proficiency by seeing the words and hearing English-speakers reading them. The three communities in Uganda where the organization started are in primarily Jewish schools serving the Abayudaya Jews indigenous to Uganda. A new team is beginning operations in India, focused on research in conjunction with four Indian universities. The Walking School Bus is reinforced by Friedland’s love of economics. Each component was developed using economic models developed by Friedland and fellow econ students at the University of British Columbia and elsewhere. The organization now has partnerships with several universities and is aiming for more. There is also a think tank where ideas for further programs are imagined and modeled. Friedland also had to overcome challenges in his own education. “As someone who has grown up with dyslexia and has struggled academically with dyslexia, I know how much I realize the kind of social safety net I was given in Vancouver – the extra lessons, the extra tutoring, this incredible social safety net that I think we often take for granted. I realize how fortunate I was,” he says. When he visited Uganda, India and other places, he realized that, had he been born there, he probably wouldn’t have received an education at all. “My parents likely wouldn’t have been able to justify that educational expenditure because, if you’re not a good student, we’ll send one of your siblings to school,” he says. Friedland and his team, which boasts an advisory group of leading thinkers and doers, has plans for expansion. In the next year, TWSB aims to purchase more buses, put in place two more solar-powered classrooms, and set up more chicken coops, water catchment systems and community-supported gardens. By 2020, the goal is five more buses, five more solar-powered classrooms and 20 more water systems, as well as more community gardens and chicken coops. On the think tank side, Friedland hopes to have 40 academic or research institutions generating 120 research papers a year. Personally, in 10 years, Friedland would like to be a tenure-track professor of economics. Judaism and the history of the state of Israel are integral to Sam Heller’s identity. A longtime camper at Habonim Dror’s Camp Miriam, and later a staffer there, Heller went on to become the president of Hillel’s Israel Action Committee at the University of British Columbia. But, before he completed his degree in political science, he took a major detour. Camp and campus helped shape his already strong Jewish and Zionist identity, but he was motivated to go deeper. He served in the Israel Defence Forces’ Nahal Infantry Brigade, Battalion 50, from 2010 to 2012, and received the Exemplary Soldier Award at the end of advanced training. When his service was complete, he worked for a time in the financial sector in Israel, but realized his calling was elsewhere. 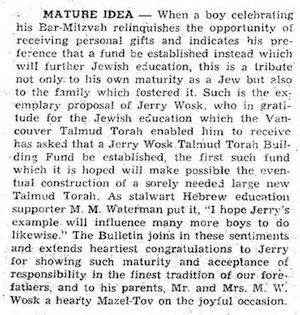 He returned to UBC to complete his degree, with the intention of rededicating himself to Jewish community service. His degree in hand, Heller didn’t leave campus. 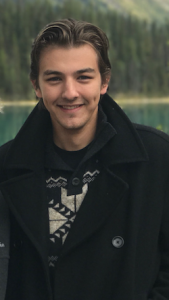 He became a staffer at Hillel, now in the role of managing director, overseeing programming across British Columbia. These have not been easy years for Jewish and Zionist students. Heller coordinated the responses to three anti-Israel boycott, divestment and sanctions campaigns – with a 100% success rate. Heller’s Jewish and Zionist commitments did not emerge from nowhere. They were passed down from generation to generation. His maternal grandparents, Regina and David Feldman, survived the Holocaust and have been a strong influence on him. His paternal grandfather, Benjamin Heller, was born in Romania and survived the war in Russia, though his parents, two sisters and a brother were killed by the Nazis; he made it to Israel in 1948, was an officer in the artillery corps of the IDF and was involved in the 1956 Suez campaign. Heller’s paternal grandmother, Haya Novik Heller, was born in Mandate Palestine and, along with her brothers, was involved in the founding of the state of Israel. Heller says he is motivated by a belief in Jewish peoplehood. Talya Mallek is devoted to education, a commitment she is realizing through her work as a museum professional. 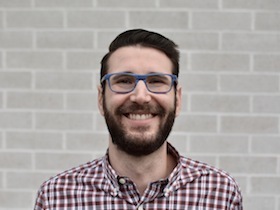 Born and raised in Vancouver (with a couple years living in Israel as a kid), Mallek taught Hebrew and Judaic studies at Or Shalom and at Temple Sholom religious school. After double majoring in international relations and English literature at the University of British Columbia, she obtained a master’s of education degree in museum education there. 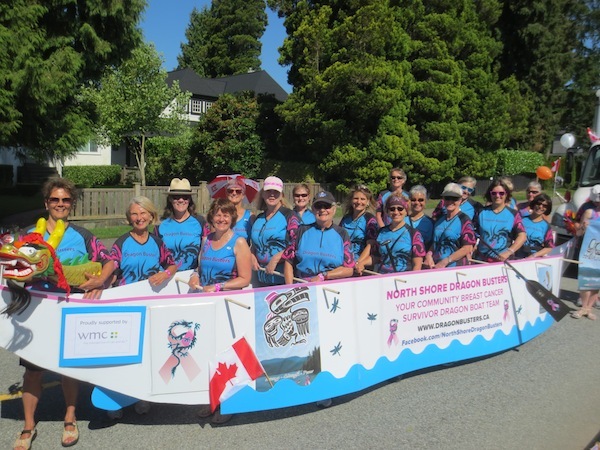 Before joining the Vancouver Maritime Museum, she worked at Lynn Canyon Ecology Centre, North Vancouver Museum and Archives and Burnaby Art Gallery. She has had two academic papers published on the topic of youth art apprenticeships. Mallek researched and wrote a significant paper about Holocaust survivor Rudolf Vrba, interviewing him and contributing primary research to the story of the man who escaped Auschwitz and warned the world about the extent of the Final Solution. Vrba, who immigrated to Canada and became an associate professor of pharmacology at UBC, is credited with saving as many as 200,000 lives, though he believed that more could have been saved were his warnings shared more widely within the Hungarian Jewish community. Mallek participated in the Canadian Arctic Expedition, traversing the Northwest Passage during the summer of 2015, then published a blog exhibit called Across the Top of the World: Words and Photos from the Arctic. She also researched, wrote and presented Extreme Explorers, an adult education program about the history of Arctic exploration with particular focus on the Franklin Expedition. The program continues to be presented by museum staff in Metro Vancouver and in the Arctic. In addition, she helped create partnerships in the Jewish and Japanese communities and did research for Invisible Threads: Lifesaving Sugihara Visas and the Journey to Vancouver, a Vancouver Maritime Museum exhibit about Chiune Sugihara, a Japanese government official who, during the Second World War, helped thousands of European Jews flee Nazism via Lithuania and Japan. An alumna of Vancouver Talmud Torah, Camp Miriam and volunteer positions at Jewish Community Centre of Greater Vancouver summer camp, she is now carrying on the tradition to the next generation. The Jewish Independent begins its three-week summer break now, and we wish you a relaxing and rejuvenating time in the sun. You can stay in touch by visiting our website and, if you do not already, please follow us on Facebook, Twitter and Instagram. While we are away, we have a favour to ask – we would love it if you would help us identify some of the young people in our community who are doing amazing things. The Independent is planning a Chai Celebration on Dec. 6, marking the 18th year of the current era of the paper’s almost nine-decade history. It has been 18 years since Cynthia Ramsay became publisher of the paper, and we are marking the occasion by recognizing a new generation of community leaders, movers, shakers, thinkers, doers and all-around awesome people under the age of 36 who are contributing to the well-being and growth of our community, Israel and/or working toward making the world a better place. A central component of the Chai Celebration is the 18 Under 36 awards, and we are asking you to help identify 18 young people who deserve recognition in a variety of endeavours. Nominations will be reviewed by a panel and 18 individuals will be selected in categories that include philanthropy and volunteering, business and technology, education and continuity, arts and culture, health and wellness. (Additional suggestions are welcome.) Nominees must be residents of British Columbia and either be Jewish or be making positive contributions to the Jewish community or Israel. In addition to identifying excellent nominees, there are more ways for you to be involved in this exciting celebration. We are seeking sponsors for nomination categories and awards, and for other components of the event. We are requesting silent-auction, raffle and prize donations. You know that this is a challenging time for print media. The Jewish Independent is a vital community forum, a place that reflects and represents the diverse identities, ideas, denominations and issues that make our community what it is. We are able to do this because we are not a nonprofit organization that represents one group’s particular interests. We are a small business that strives to serve each and every organization and member of the community, and we depend on readers and advertisers – and those who have generously answered our occasional calls for donations – to do so. If there are times when what you read in these pages challenges your assumptions or expands your horizons, or even unsettles you from time to time, then part of our mandate has been fulfilled. But, in addition to challenging assumptions and encouraging new ways of thinking about ideas ancient and fresh, the paper is also, we hope, a community message board, a few minutes a week with a trusted friend, an entertainment guide, a neighbourhood chat and more. We hope that you regard the paper as an important institution in our community. We sometimes hear you say that you wish there were more pages in a given week. We wish that, too. The number of pages reflects the revenue generated through advertising. We want to offer you the best product possible and want to partner with community businesses and organizations to bring you the best reporting and most informative community news. It is advertising revenue that allows us to pay writers, meet rent, buy equipment, print the paper, mail and distribute the issue, and develop the digital components that allow us to advance in a changing media landscape. When revenues are lower, we must reduce our costs, hence, those smaller-than-average issues. This December’s celebration is an invitation for our community to come together and support independent Jewish media in British Columbia – as well as to celebrate our community, enjoy a great show and have some fun. We hope you will be a part of it. For more information, email Ramsay at [email protected]. To nominate someone you know under the age of 36 (as of Dec. 7, 2016) who deserves recognition, email Ramsay or message the JI via one of our social media platforms and tell us a bit about your nominee and why they should be the winner. And please spread the word – #18under36 is underway! A couple of years ago, somewhere between the family-sized bag of Miss Vickies chips (190 lb Kyle) and the Trader Joe’s Edamame Crackers (165 lb Kyle), something triggered inside of me that led me to one of the most profound personal discoveries of my adult life. It had little to do with the weight loss itself. Losing 25 lbs in two months wasn’t the result of some magic pill, any as-seen-on-Dr. Oz diets, or by bathing in ice water 20 minutes each day (though you could actually lose weight that way). I simply learned how calories worked and decided to see how it would apply to my life. That basic exercise led to a fast education, a welcome (and still developing) change in some key areas of my regular diet, a commitment to fitness and voila: a fitter, healthier me. I didn’t see that weight loss as anything more than an isolated, solitary accomplishment. Until I stood in front of a mirror and stared into the eyes of a man who, long before then, believed and accepted that he would never have the will power, focus or determination to drop that extra 20-30 lbs of fat. I had proved that S.O.B. wrong! And that changed the game for me. That kick to the groin of the demon I now refer to as “Complacency” opened my mind to a whole realm of possibilities I had previously written off or accepted as limitations in my world. I suddenly became aware of the many walls I had subconsciously erected around me as safety mechanisms. With the gusto of Ronald Reagan, I began to tear down those walls. Within the next year I set my mind on accomplishing more fitness goals, kicked off my life-long desire to learn to speak Hebrew, created the Berger With Fries blog just so I could write the way I wanted again, revitalized my approach to my home life, parenting and my job, learned to juggle a soccer ball and do a handstand (in no particular order). Every single aspect of my life had become open for re-interpretation, re-evaluation and re-definition. Why? Why the heck not!? I used to joke (kind of) that my life – married with two beautiful young daughters – was pretty much locked in for the foreseeable future. Meaning that, other than a few more grey sprouts, 35-55 didn’t have much wiggle room for me in terms of possible major life changes. I had kids to love, job stability to focus on and I was very busy following the cookie-cutter society in which I had been raised. Today I realize how absolutely absurd and limiting that line of thinking was. It doesn’t matter where you are in life, what you are doing or what your status is. Show me a life filled with the pursuit of excitement and inspiration and I will show you a life without regret or any sense of time wasted. That hunt is what this Berger Time blog is about. It is about challenging ourselves to look beyond the narrow path that’s laid out directly in front of us as life wizzes by. To ask the question: what if we could re-shape that cookie-cutter to whatever we want it to be that day? To boldly go where no one…… Ok, I’ll stop there. But that Star Trek way of thinking isn’t so bad! We are going to have some fun, meet some interesting people, share some interesting stories, try out new things (permit me to be your guinea pig!) open our minds and step outside of our comfort zones in search of inspiration and excitement. 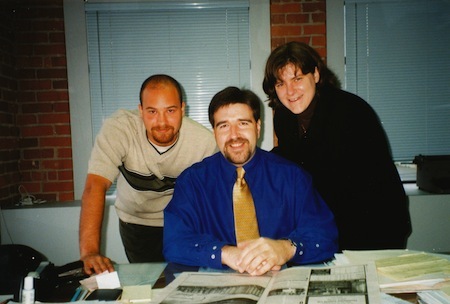 Some of you may be familiar with my work as a former regular and current freelance writer at the Jewish Independent (shout out to my fans at the Louis Brier Home and Hospital!). Being part of this publication will always be important to me as I appreciate the vital role it plays in the community. 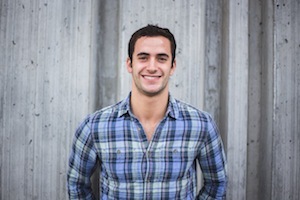 Kyle Berger is a freelance writer and producer of the Berger With Fries health/fitness/entertainment blog. Follow him on Twitter @kberger16.